Remodeling of the traditional hammam towels used during the past centuries by Anatolian people, Hasır Peshtemal is a modernized hammam towel. It is the perfect combination of bright colors and traditional stripes completed with the white fringes. It carries the traditional aspects of traditional hammam towels on its soft texture. Hasır Peshtemal is woven 100% from premium quality Turkish cotton. It is soft and durable, absorbent and quick drying, yet it only weighs only 430 grams! Its comfortable texture and elegant design make it perfect for daily use. 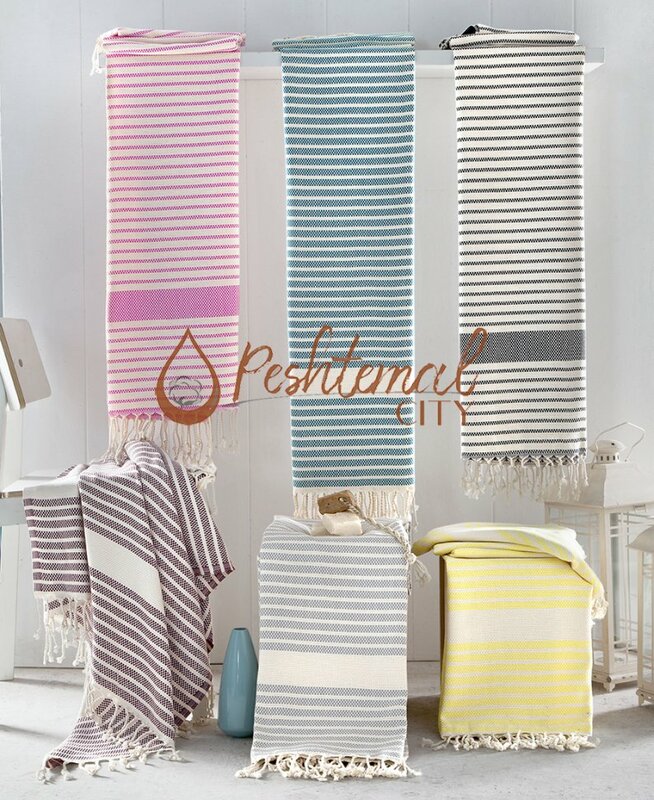 You can proudly take Hasır Peshtemal to beaches, pools, spas, gyms, hammams, yachts etc. Hasır Peshtemal is also a perfect traditional decorative item for bathrooms and kitchens.